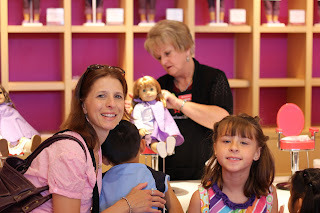 A little American Girl time for Miss Brianna. This was a carryover from her birthday as this is what she had asked for! Have to say the little girl in me loves it too!